WASHING MACHINE, MY BEST INVENTION! This worksheet deals with the invention of very useful devices for people. The fisrt exercise is a conversation with a grandmother who tells us how important the washing machine was in her life. Then the ws revises the use of passive. 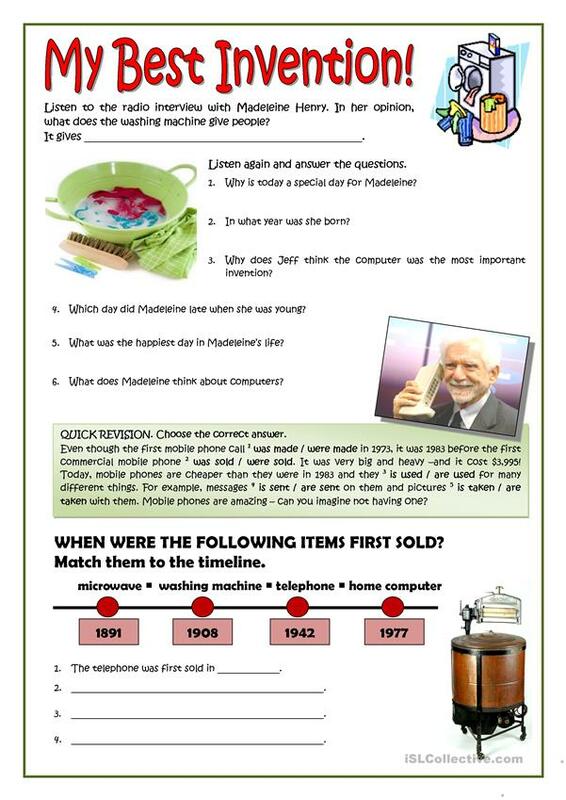 The third exercise is a timeline about the evolution of the washing machines to make students write sentences using the passive voice. This printable, downloadable handout is best suited for high school students and adults at Pre-intermediate (A2) level. 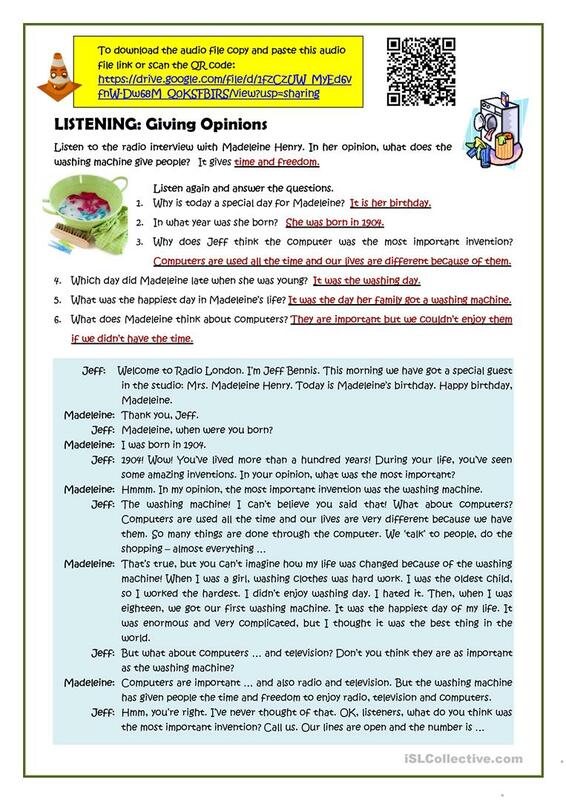 It is valuable for teaching Passive voice or active voice in English, and is a valuable material for honing your learners' Listening skills. It features the vocabulary topic of Computers & Technology. The key is provided, too.